Have just watched ‘Chef’ with Jon Favreau and what a treat it was! If you enjoy food shows and eating then this is for you. 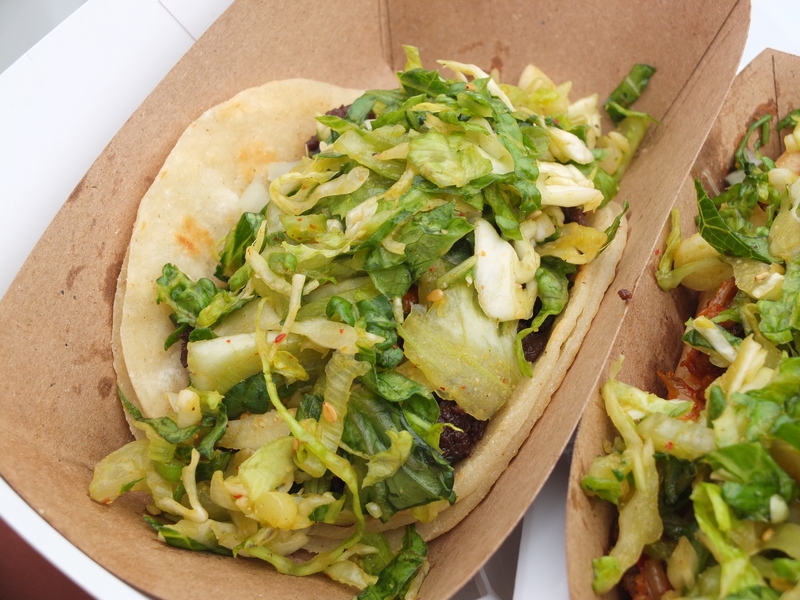 Was interesting to see that the movie was produced by Roy Choi, owner of Kogi food trucks on the west coast serving Korean/Mexican fusion! 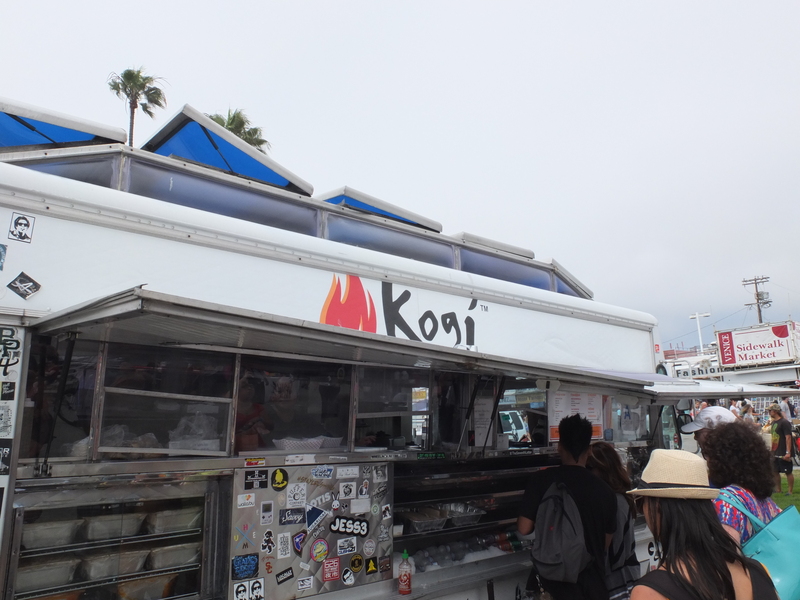 Check out the website Kogi BBQ. 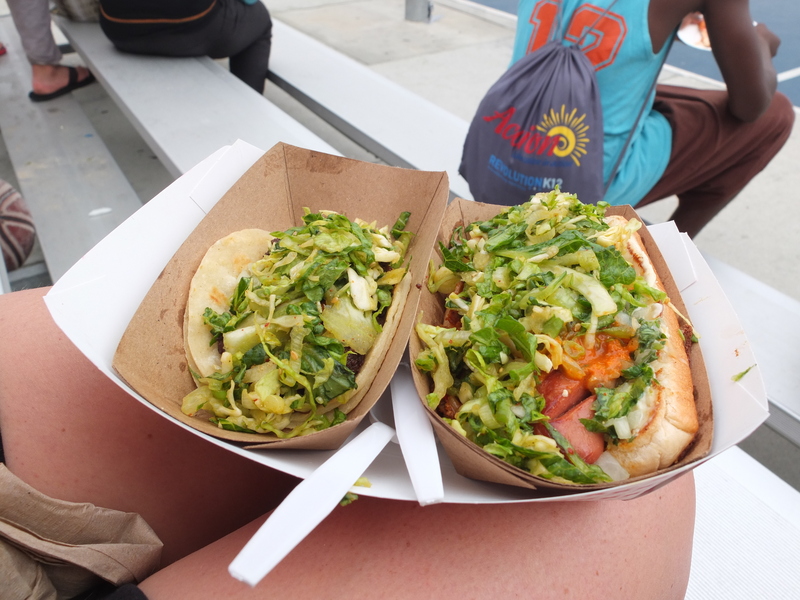 We were lucky enough to sample the food last year in L.A. during a visit to Venice Beach. 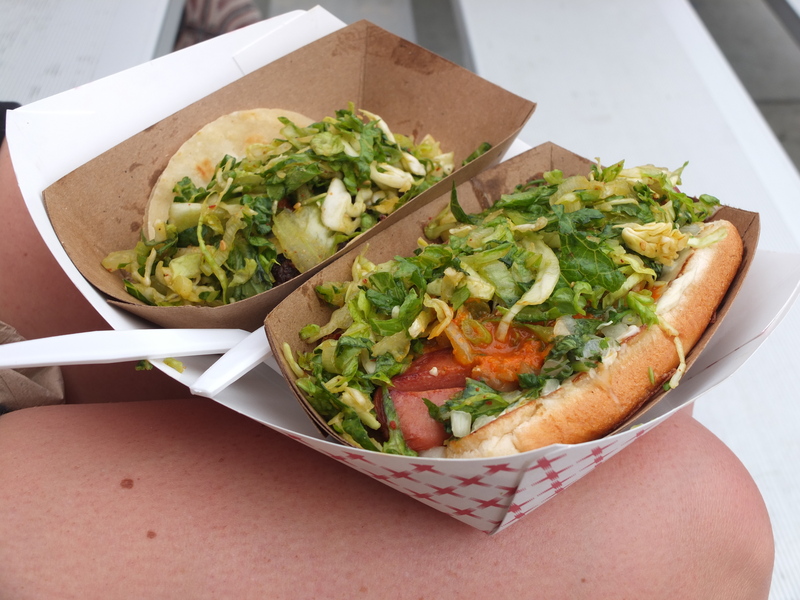 Below are pictures of a hot dog covered in Kim Chi. TASTE SENSATION! I guess we are going to have to go back next summer….damn!